2. I have to give Glasgow City council props for its road salting policies, but my car is FILTHY! Still, at least it’s less noticeable on my silver one than on black ones :oD Don’t think I’ll be joining the car wash queue for a few weeks though! 3. Apparently the bookies have slashed the odds on a white Easter. Snow bunny anyone? 4. The next Commonwealth Games will be happening literally up the road from me (well, some of it anyway!) and the Queen’s Baton Relay Route has been announced. Is it just me, or does it look to you like it’s travelling through shark infested waters outside the UK too? Does the Queen's Baton Relay get televised because I wouldn't want to miss what comes in the #2 area shwon on the map. It should be quite entertaining. Gosh, what a ray of sunshine and light this post was, are you feeling alright? Looks like that relay might be passing our way, will have to keep an eye out for the runners who can manage that route! Damn those pavements! And you've definitely got a good balance of random! I had a pavement attack me once on a night out! Vicious things they are. What have you been smoking?!! 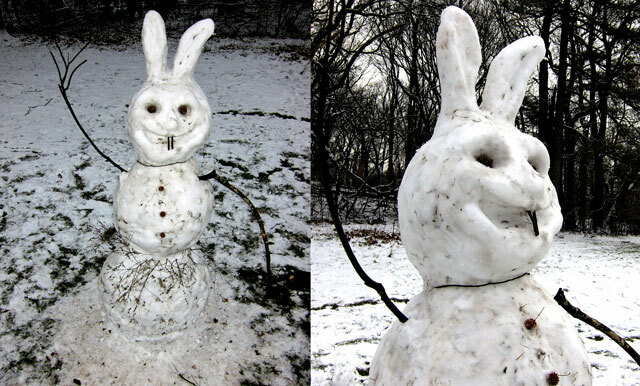 Man that snow bunny looks evil! Scary. So I wonder if that world map of the Baton relay is accurate and the only place it lands in Australia is in Alice Springs? Our hot dusty red centre? Way to show off the best Commonwealth! Sounds like the work colleagues are good people 😉 it's all fun and games til it ends ina trip to the dentist! That bunny is going to give me nightmares – freaky! My partner had colleagues that would end up with broken things after Friday night drinks. His policy was leave after 2 drinks.. Those pavements can get nasty. Yep that relay torch is going to go on big ride all over the place and not on a very sensible route if that map is anything to go by. And Im with Sarah – why is the torch only going to Uluru! Does the salt do damage to your car over time? Sorry to be a downer on your happiness, but I'm going to ask the same question as Shay. 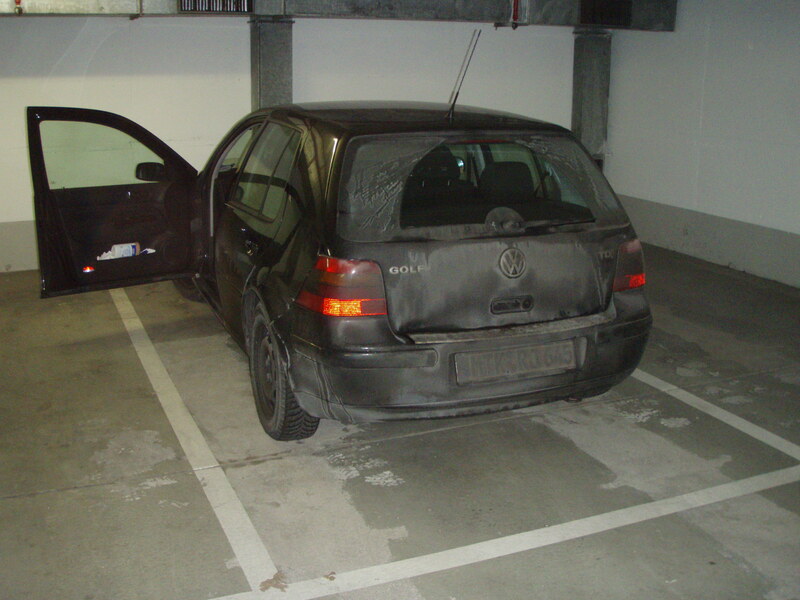 Doesn't all that salt damage your car if you don't wash it off regularly? A trip to the dentist is much better than being arrested or going to jail! Is that a snow bunny that you took a picture of? It's creepy! You ARE working up to a proper rant for tomorrow, right?